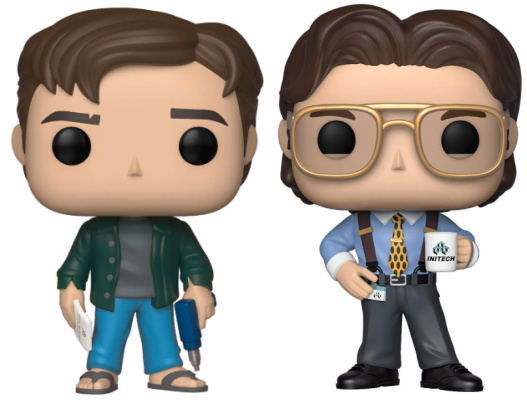 Product DetailsThe classic cubicle comedy from Mike Judge goes vinyl in Funko Pop Office Space. 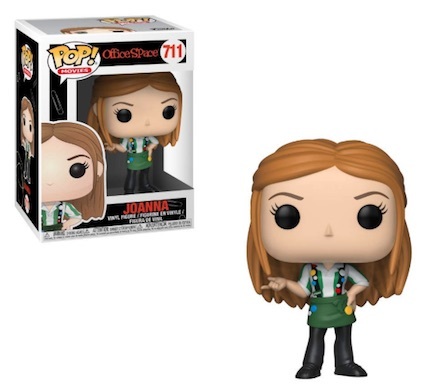 The 1999 film celebrated its 20th anniversary with the 2019 Pop! Movies figure release. 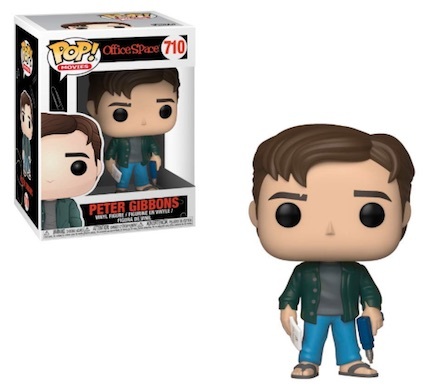 Funko Pop Office Space begins with Ron Livingston as the slacker Peter Gibbons holding the infamous TPS reports in-hand. Rocking his most casual business attire, he wears flip-flops and wields the drill used to add some extra office space to his cubicle. Buy the Office Space DVD on Amazon. 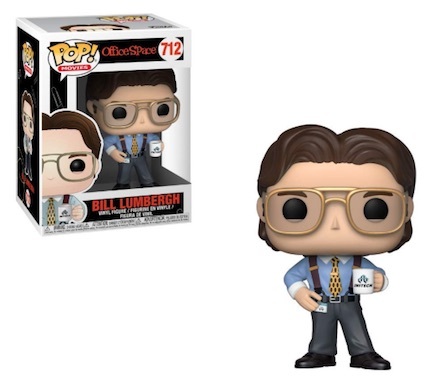 Peter is joined by his annoying boss, Bill Lumbergh (Gary Cole), who is dressed in suspenders, a blue button-up with a colorful tie, and gray slacks. He also has an Initech coffee mug. 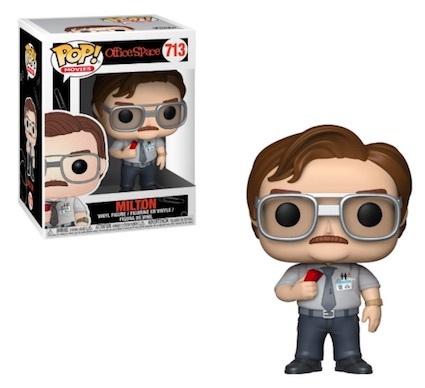 Fellow co-worker Milton Waddams (Stephen Root) is another addition. The oft-overlooked employee has a tight grip on his favorite red Swingline stapler. The only character that does not work at Initech, Joanna comes complete with her various pieces of flair. Played by Jennifer Anniston, Joanna works at the nearby Chotchkie's restaurant. Hopefully, figures for Samir, Michael Bolton and Lawrence, plus a Bobs two-pack, are on the way soon, but that has not been confirmed. 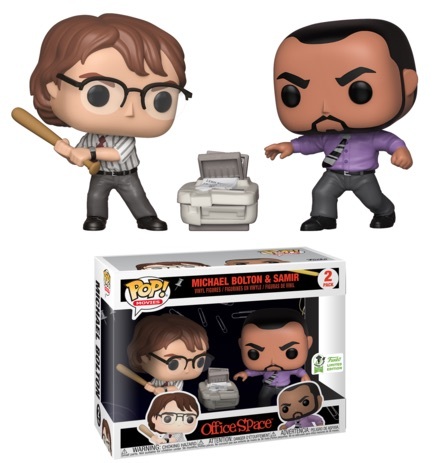 Let us know if you see any other Funko Pop Office Space figures. Shop for specific figures on Amazon using the links below.